It’s hard to believe that it has been two years since I last updated the Pocket Portables Review, but here it is. Several new models have been added while some are discontinued. Recently discontinued models may still be found here and there but sometimes at grossly inflated prices so buyer beware. 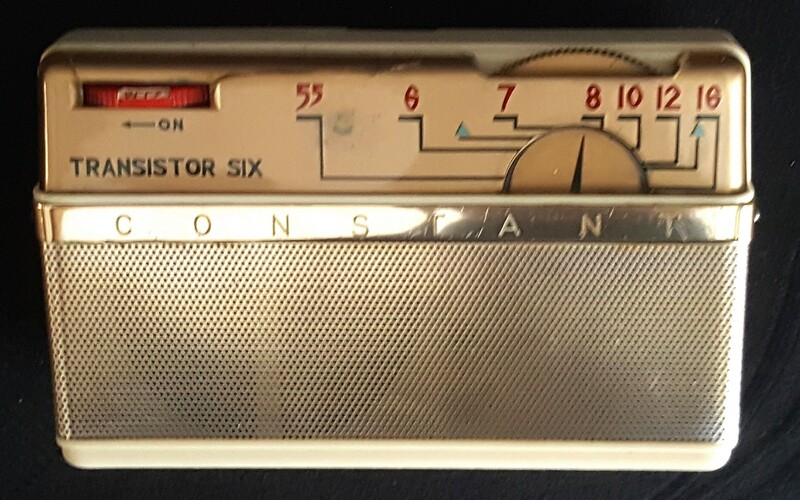 And one apparent clone of it’s well-known predecessor actually gives that discontinued radio a run for its money. 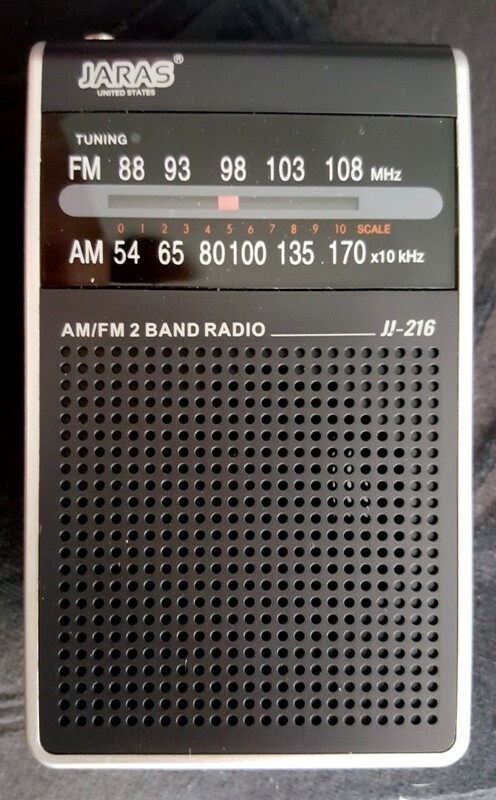 The biggest overall changes for this latest crop of pocket radios are that most currently-made radios are digitally tuned even though they have analog-like tuning knobs and dials. This means they tune in increments, popping from one frequency to the next rather than gliding continuously as in older, true-analog designs. This can make tuning a bit finicky if not well-designed but some radios tune more easily than others. Another change is that all of the newly-introduced models feature stereo earphone jacks, so even though they only produce mono FM audio you will hear it through both sides of stereo earbuds…a decided convenience. 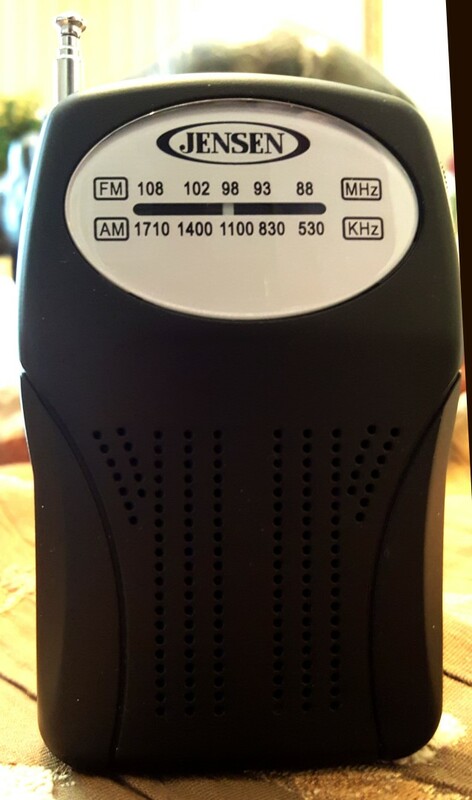 I suspect that the Radio Shack radios are no longer available which is a shame because their Model 1200586 had the best AM reception in last year’s review. Checking radioshack.com they all show as Out Of Stock and the ones I found at other online sites were at grossly inflated third party prices. 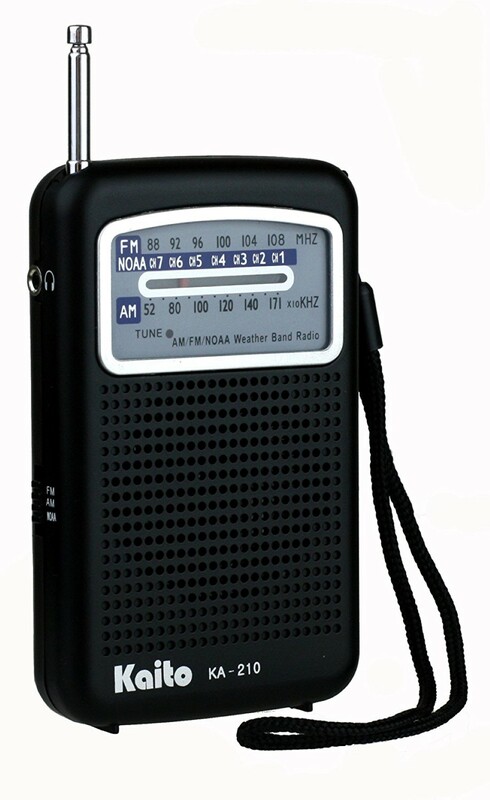 (Radio Shack does still have a few larger portable radios on their site however so maybe there is still some hope that their pocket portables might reappear). 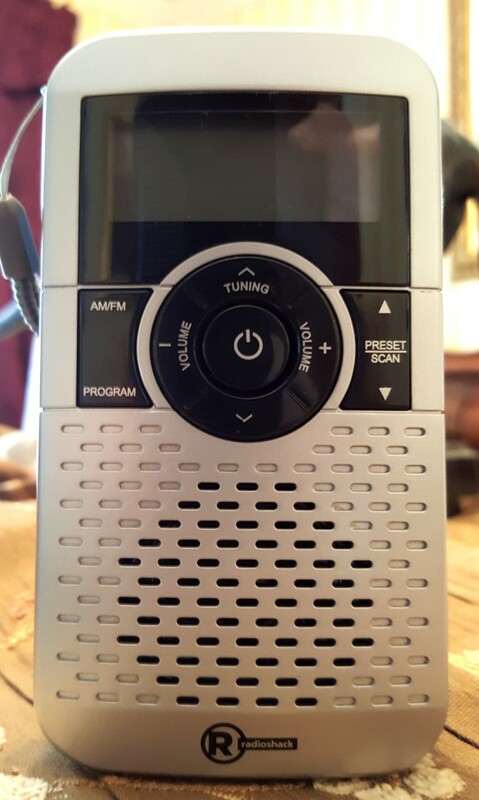 There are many other models available but the seven here represent the best performance and value of all the pocket portable radios I’ve seen which are designed primarily to be used with their speakers rather than with earbuds. Earbud portables such as the CC Pocket and Sangean DT-160 are more expensive and are generally in a higher class overall with digital tuning and its associated features along with Stereo FM and enhanced overall performance. Onto The New Review – I will leave the older review for reference at the bottom of this page but some of those models are no longer available. And a comparison with other models from the original Pocket Portables review which are still available including the Kaito KA-200/Degen DE-333, Sangean SR-35 and Sony ICF-P26. These small radios will fit into a large pocket but they still vary considerably in size with the Degen DE797 and Kaito KA-200 literally half the size of others, so choose accordingly. As a group they remind me of the old “transistor radios” we all carried with us in the 50’s and 60’s. Of course, today’s pocket sets bear no internal relationship with those all-analog sets of old. Modern radios are chip-based to varying extents with many DSP designs which incorporate almost all the active circuitry in one chip, but even non-DSP types are still IC-based to simplify manufacture. This design trend with more and more of the radio’s circuits all contained in individual chips can be both good and bad as long-time readers of this website will attest. Modern DSP radios range from mediocre in some sets to state-of-the-art where those chips are better utilized, so the presence of DSP is no guarantee of quality – each radio must still be judged based on its performance rather than its design concept. And since the internal AM ferrite rod antennas are necessarily small in these radios their AM reception will never compare with larger, more sophisticated radios, although the best are decent. FM reception on the other hand can be very good and is sometimes much better than yesterday’s small portable radios.. 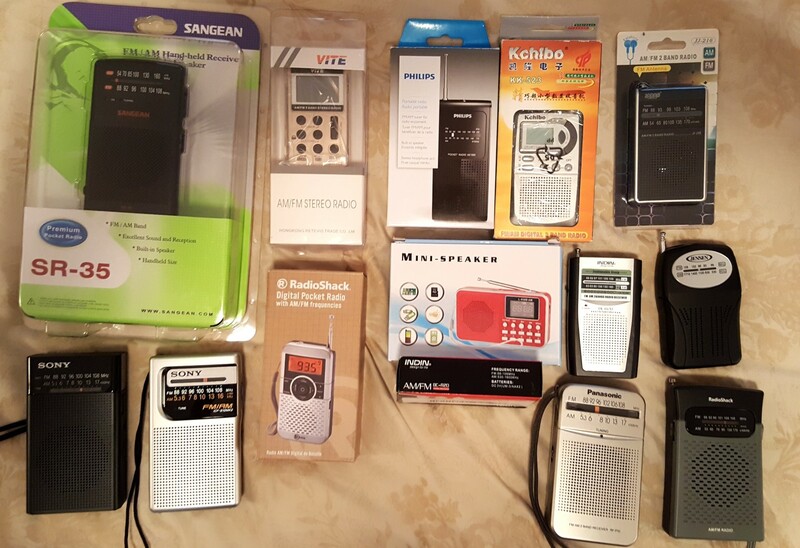 The most interesting thing I found (the same as in years past) is how much these pocket radios vary in their areas of strengths and weaknesses. Some are better on AM, others are better on FM, and some have more balanced sound than others. While no one expects top grade performance from a $10 to $20 pocket portable, picking the right one can make all the difference depending on what is important to you. 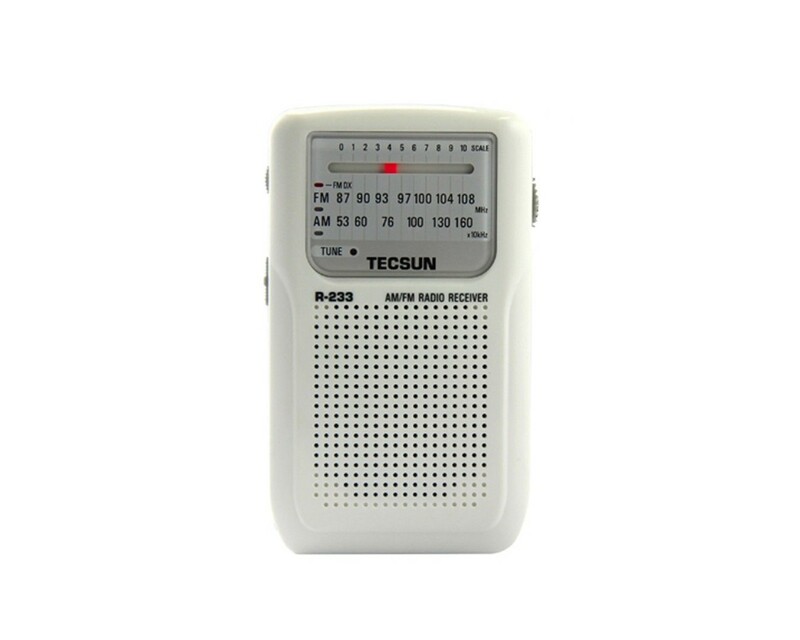 For this report I chose seven currently-available, inexpensive radios ranging from $9 for the tiny Degen DR797 (2.2” x 3.5” x 0.8”) to $15.59 for the Tecsun R-233 (4.5” x 2.5” x 1.1” ) and $19.95 for the Kaito KA-210 (4.5 x 0.75 x 2.75 in) and Vondior 926 (8.8 x 6 x 0.1 in). The Degen DE797 cost $9 Plus Shipping from Anon-co.com (I bought this along with the Tecsun R-233 for a total of $24.49 with $1.50 combined shipping for a total of $25.99. The Kaito was from Amazon.com with free shipping for Prime Members. The Vondior came from Amazon and cost $19.97 with free Prime Member shipping. The two smaller radios here are the Degen DR797 and the similarly-sized Kaito KA-200/Degen DE-333 while all of the other larger radios are very close in size to each other. Still available since the last review are the Kaito KA-200/Degen DE-333, Sangean SR-35 and Sony ICF-P26. 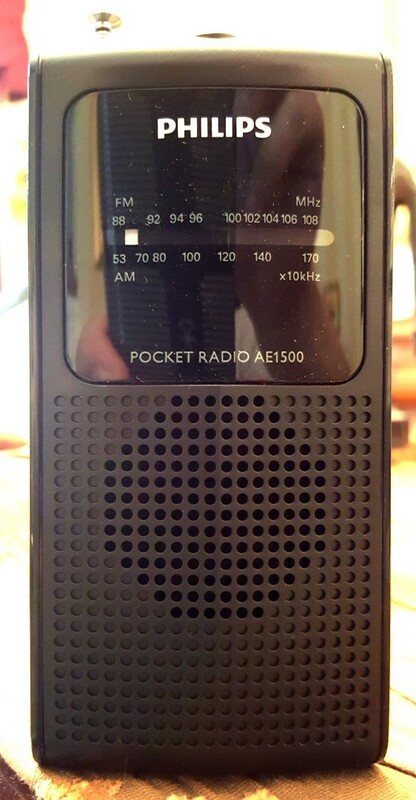 The basic specs on all such pocket portables are pretty much the same, the main differences being that models intended for the US Market feature the US Expanded AM band up to 1710 KHz whereas the other units are only spec’d to just above 1600, although they will typically tune quite a bit higher. My DE797 was actually not meeting its spec -see below. Some radios have dials which are only calibrated up to 16 KHz but still reached beyond 1700 KHz to cover the full Expanded Band. Here are the actual measured Upper Tuning Limits for my samples…yours can be expected to vary slightly. 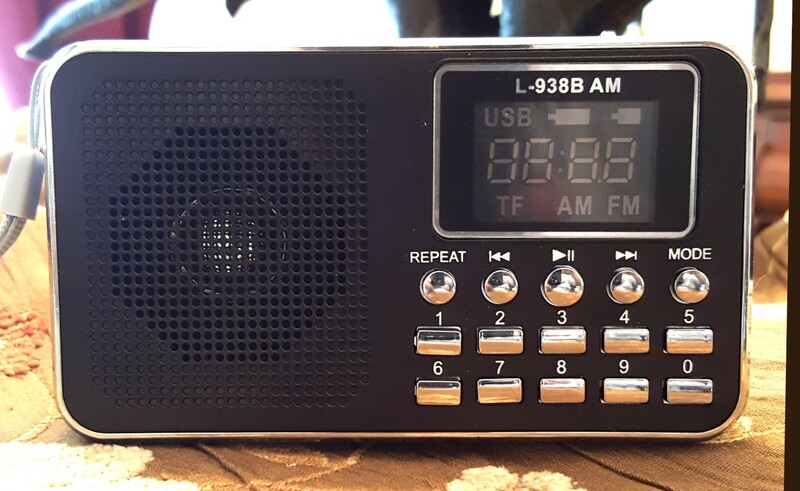 Many of these radios offer pretty good reception for the low cost but most have finnicky tuning due to less-than-ideal use of digital signal processing. They tune in steps even though the dials move smoothly and there are sometimes false peaks on either side of the true signal which can make finding the clearest peak a bit tricky. Radios with LED Tuning Indicators simplify this by helping you visually see when you are tuned to the strongest peak. 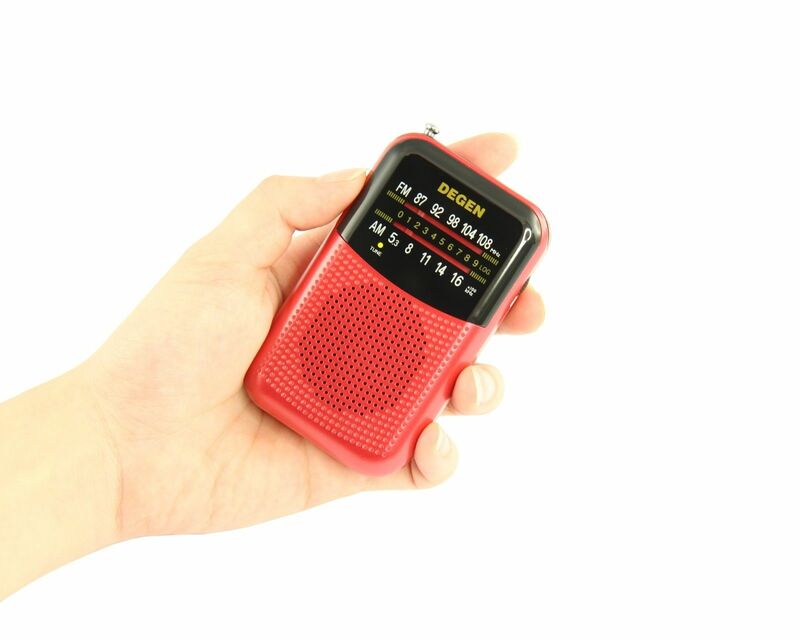 Also, these radios may skip over a weak signal which is near a stronger signal on the dial, but if you tune slowly back and forth you will often be able to get the desired station to pop in. You can learn the feel of this and eventual reception can be quite acceptable, and of course, tuning is easier on stronger signals. 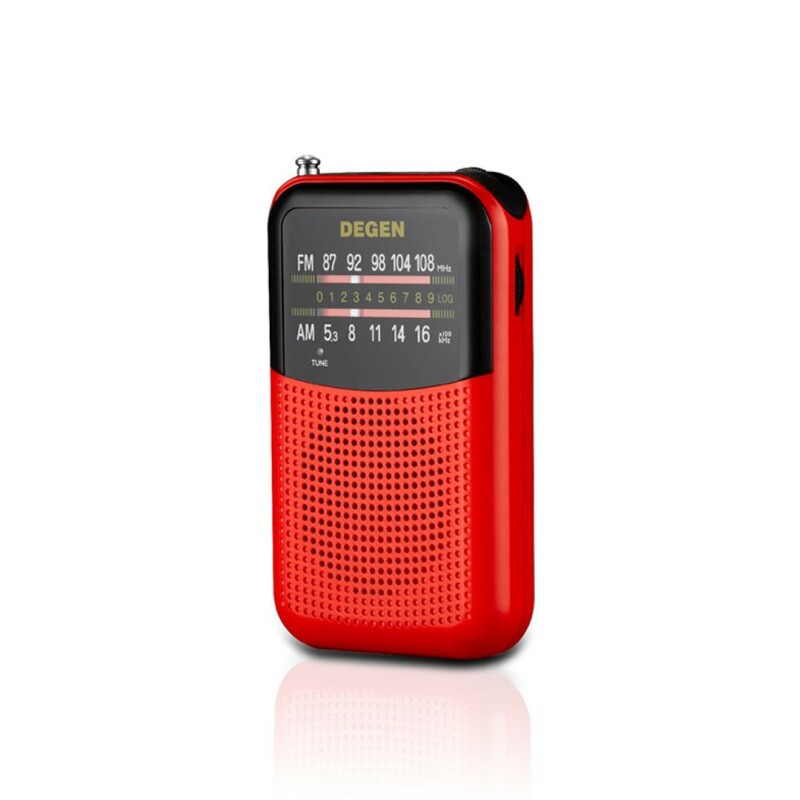 The tiny Degen DE797 AM/FM portable is available in red only. It is a DSP design and as the smallest radio in this group (along with the Kaito KA-200) fits easily in the hand or a small pocket. It is powered by two AAA batteries. Fairly weak AM reception is OK for local stations and my sample did not tune any higher than 1594.5 KHz but it has very good FM reception and very good audio for its tiny size. Definitely a radio for FM lovers and very cute. 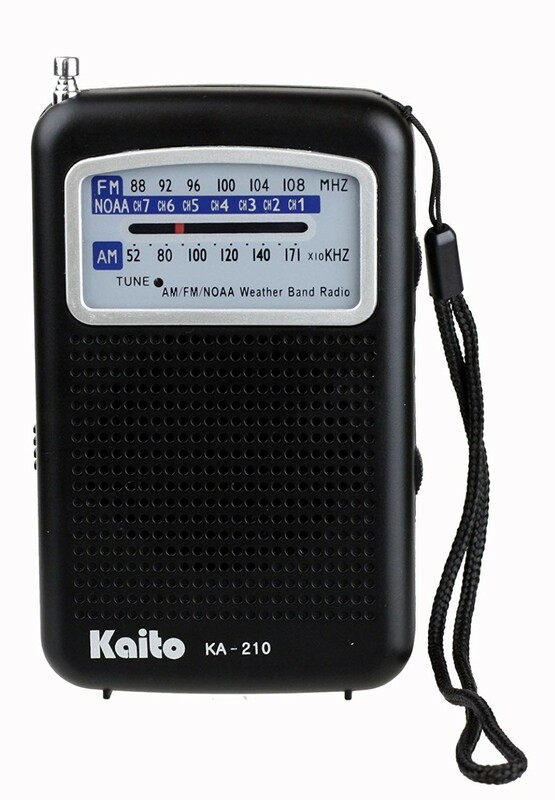 The Kaito KA210 is the only radio in this report which features the NOAA Weather Band which makes it a natural for outdoor enthusiasts and others who need to keep an eye on the sky. It also has as an LED Tuning Indicator and is powered by two AA cells. Good AM and FM reception for this group but unfortunately it had somewhat thin sounding audio. 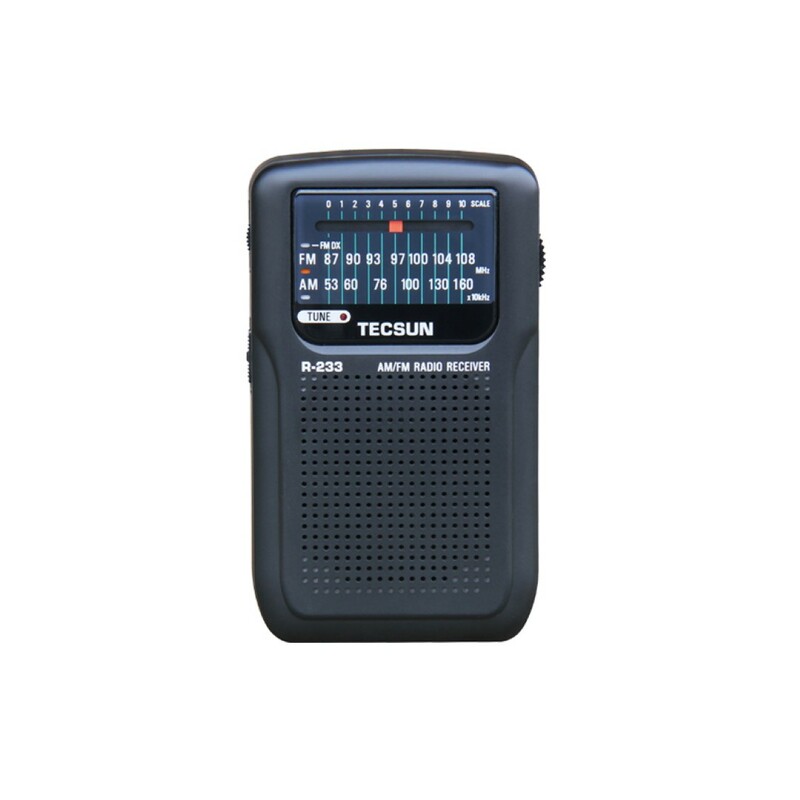 The Tecsun R-233 is available in Black or White and offers an FM DX Feature which is said to “reduce interference or noise” to improve FM reception but I couldn’t hear that it had any real effect with any of the several marginal FM signals I listened to and, in fact, FM reception was weaker than most. AM reception however was very good and sound quality was pleasing. LED Tuning Indicator is a plus. It runs on two AA batteries and comes with stereo earbuds. The Vondior 926 is clearly a copy of the longtime popular but now discontinued Sony ICF-S10MK2 (See Pictures). It is available in Black or White and also with other brand names such as the Hapito HPT-926 pictured here. Knowing that the innards would have nothing in common with the original Sony model I was especially curious to compare their performance. 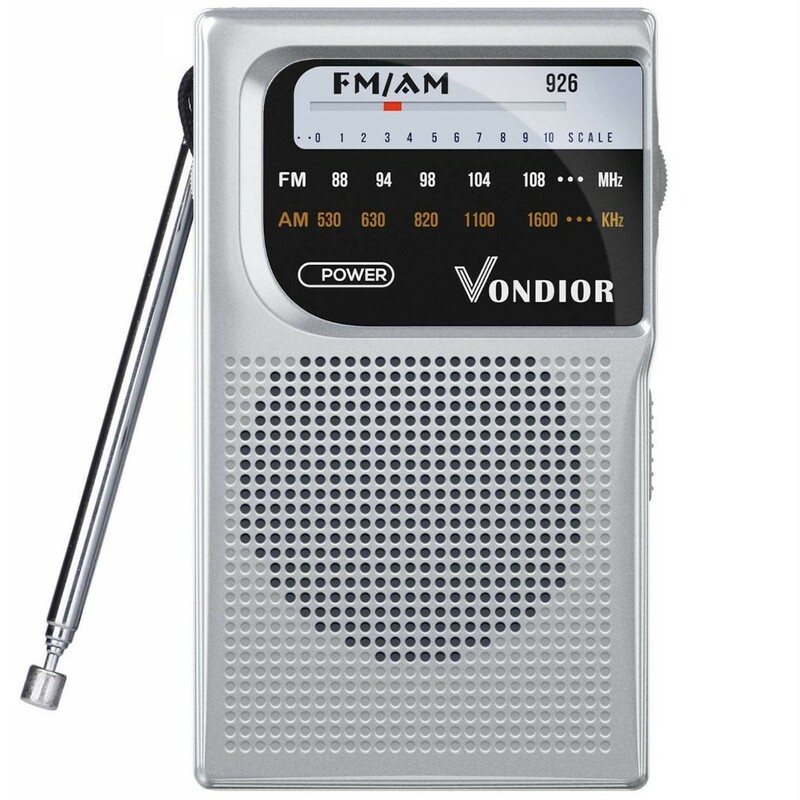 While the old Sony was an analog design and thus tunes more smoothly, the new Vondior actually outperformed it in FM reception due to improved selectivity. 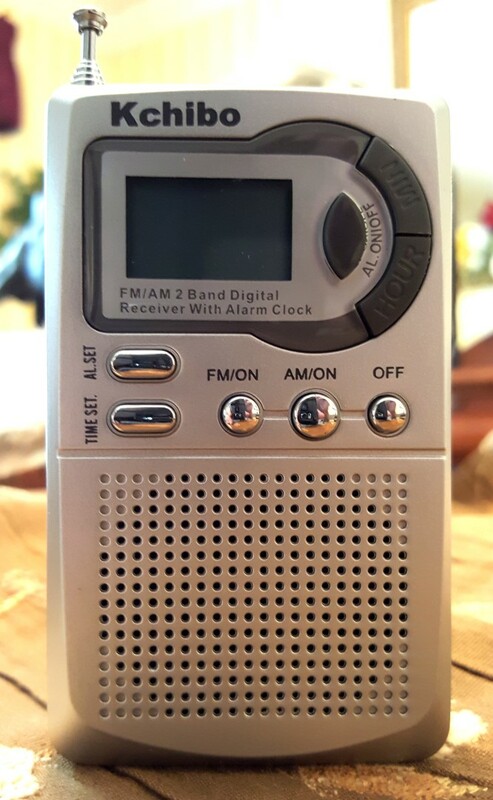 It was also slightly more sensitive on some AM signals and in addition to full coverage of the expanded AM band offers similar audio quality, but it does have the finicky tuning behavior of many current models and has a Power Indicator rather than a more useful Tuning Indicator. 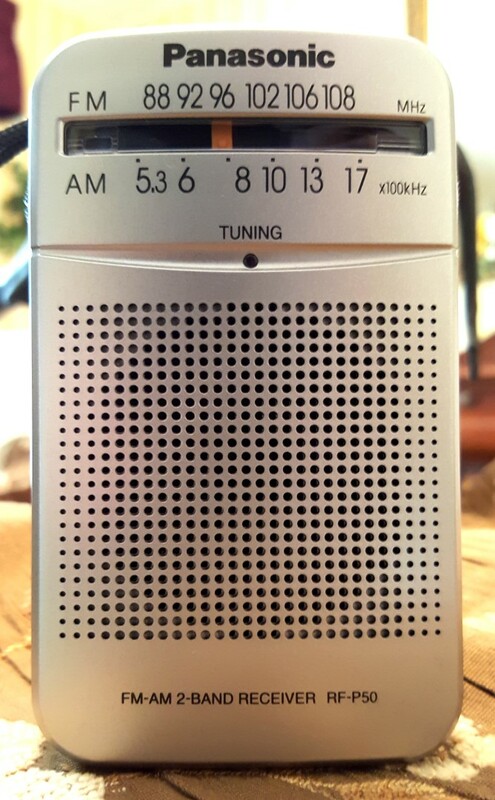 Note: my radio does not have the number 926 on it anywhere as you can see although some internet pictures show it on the front…mine only says VX, so clearly there are different production runs with different cosmetics. Kaito KA-200 – $12.99 in Black or White at Amazon http://amzn.to/2binElF or $ 12.99 from http://www.kaitousa.com/ Same small size as the less-expensive Degen DE797 but the Degen outperformed it on FM reception and sound quality. Runs on two AAA cells. Sangean SR-35 – Lists at $40 but currently $19.99 at Amazon http://amzn.to/2bmXqBN with free Prime Shipping). Best sounding portable in this group but not quite as loud as some others which push much more midrange audio. 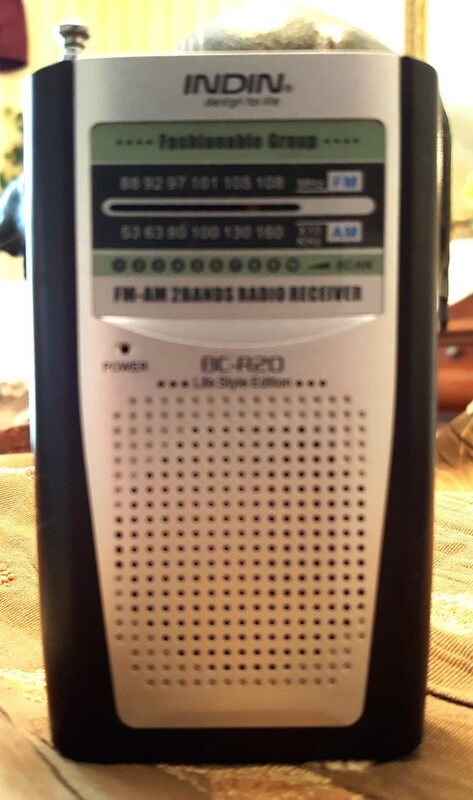 Has very good AM and FM reception, a Tune LED and runs on two AA’s. For best sound quality on music this is a great choice. Sony ICF-P26 – $18.00 http://amzn.to/2biruvn Average AM/FM reception and audio. Has the Expanded AM band and a Tune LED. Conclusion: As long as your expectations are realistic one of these pocket portables might suit you very well. 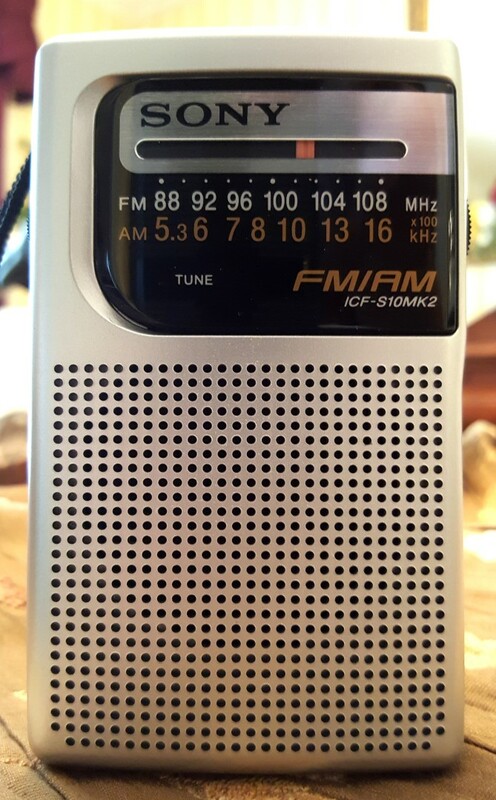 None will replace my favorite new or vintage radios of larger size but the convenience of a pocket portable and the sheer fun factor of them along with very reasonable prices can make one of these a fun addition to your listening hobby. Below is the original Pocket Portable Review published Fall 2016 – Much of this info is updated in the current review above. 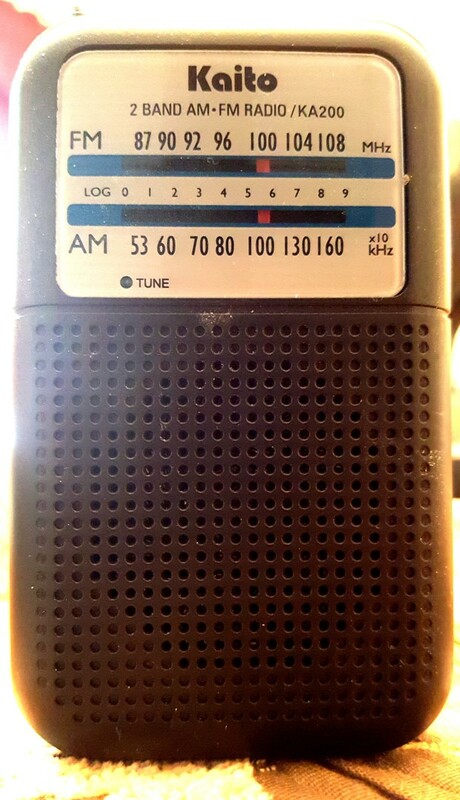 One of my most prized possessions as a kid was my first portable transistor radio…a Constant 6T-200. I thought it was beautiful just to look at and indeed the Japanese reverse-painted radios on the late 50’s/early 60’s were very eye-catching. 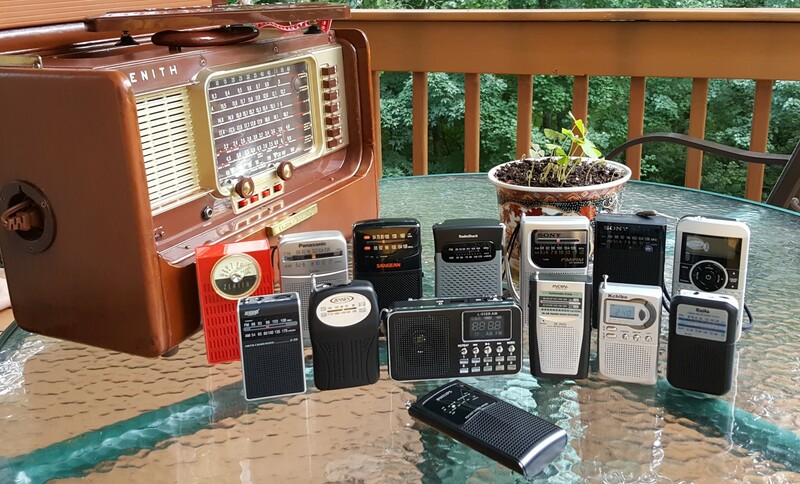 It wasn’t long though until I realized there were better radios to be had and as I’ve written in my bio this started a lifelong passion for high performing radios… mainly portable radios. Many of today’s inexpensive AM/FM pocket-sized portables offer good enough performance to be truly enjoyable companions in situations where you would not want to lug a larger radio. The best of them are decent on AM and some are very good on FM. Interestingly, modern portables have improved in FM performance more than AM – many early FM portables, especially less expensive models suffered from poor FM selectivity which is much more of a problem today than it was in the 70’s and 80’s because the FM band has become so much more crowded. 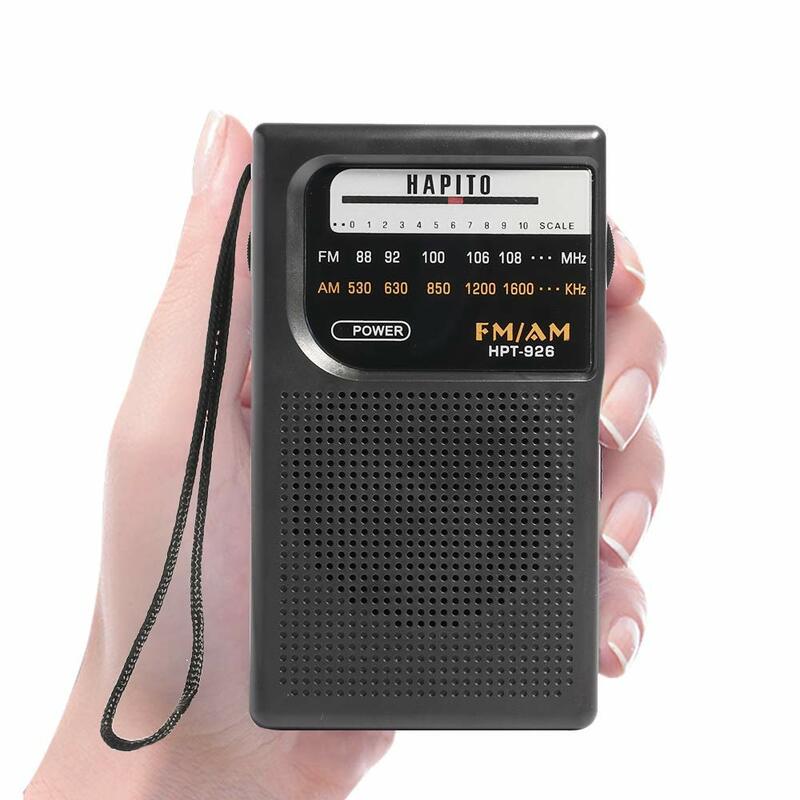 Many newer portables feature razor-sharp FM selectivity, letting you easily separate signals which are closely spaced on the dial. A Bit Of Perspective On Size! Dwarfed by my 1958 Zenith Royal A600L Trans-oceanic are this year’s 13 pocket portables along with Zenith’s first pocket portable from 1960, a red and white AM only Royal 50 (Left Rear. 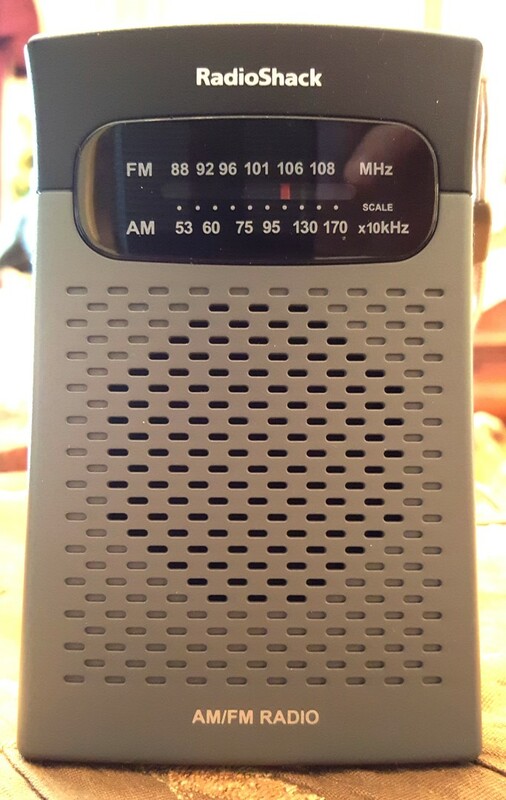 For Zenith fans that Royal 50, Zenith’s least expensive radio of its day, is among the best performing radios of its size and era – it is at least as good as the best of today’s pocket portables on AM). 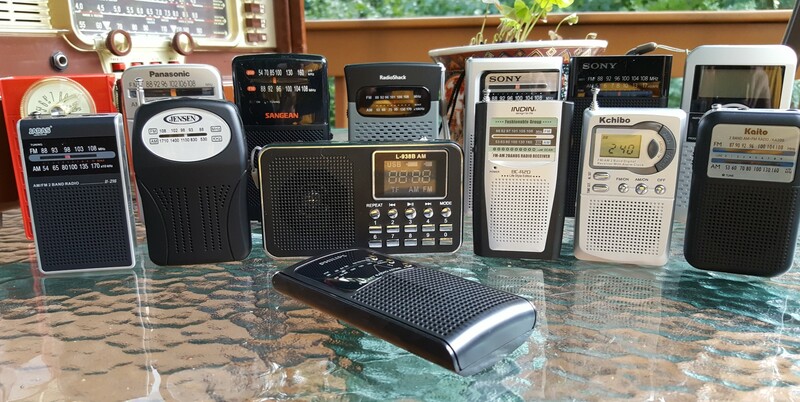 When I first compared AM/FM Pocket Portable Radios a few years ago I found 5 relatively popular units, all of which are still available today. However a little internet searching revealed many new models, two with digital readouts (one is digitally tuned, the other is analog tuned with a digital display), at “pocket” prices. Clearly it was time for an update with more AM/FM portables. In addition a pocket portable should obviously be small enough to fit into a pocket but some of these are half the size of the others. It should be inexpensive enough that if it is lost or dropped the loss is minimal, and it should be good enough that your local and most semi-local suburban-grade signals will come in well enough to be listened to enjoyably. Some are of course better than this minimum requirement. Finally one doesn’t expect Hi-Fi sound from any tiny device but it should be pleasant enough that you can enjoy the program you are listening to. Most of these are OK in that regard but some are not so great. Luckily many of the radios in this report deliver on all those points and you can’t go too far wrong with any of the recommended models. However some are definitely better in one area of performance (such as AM versus FM reception or sound quality) so your preferences may dictate or rule out a particular model. And unfortunately there are a few I cannot recommend – they are just so cheaply made that they don’t function properly, or they work so poorly they can’t be regarded as anything more than toys. One unit (the MFine L-938B) was both quirky and defective so I did not rate it. Several of these are just plain miserable on AM, barely receiving even local and semi-local signals, but surprisingly, all were at least acceptable on FM, so if your needs are not too fancy almost any will do for FM only use. Only one of these radios provides FM stereo reception with earbuds, the digital Radio Shack 1201475, but most of the others, except as noted, have stereo earphone jacks so you can hear their mono sound through stereo earbuds. Units with mono jacks will play only through the left channel unless you use a mono to stereo adapter. The average size of the larger pocket portables is approximately 4 ½ x 3 x 1 1/4. The smaller units are approximately 3 x 2 by 1 – see the group picture to see visually how they compare. Some models are noted as “tuning in steps”- a result of the increasing digitalization of their design. They actually increment up and down rather than progressing smoothly as in fully analog designs. However these steps are fine enough that in this class of equipment it is of little concern and many users won’t even notice it. AM just slightly noisier than the above radios but still respectable – Good FM – Mono earphone jack – no expanded AM band – Tune LED. Total re-design of ICF-S10 MK2 above but overall a slight step backwards in performance with slightly weaker reception and audio. However it adds the Expanded AM band and stereo earphone jack. Conclusion: As a group there were more good FM performers than AM. In fact none of these were really poor on FM…even the worst were acceptable, at least for local signals, whereas on AM there were some that barely worked at all and had a tough time tuning in even locals. If you’re more into FM you have more choices. 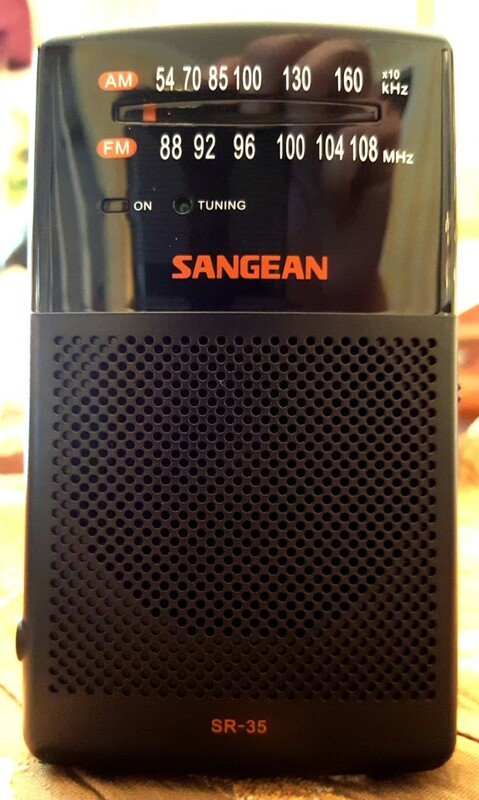 The Sangean SR-35 has great overall FM performance and is also by far the nicest sounding of all of these units. 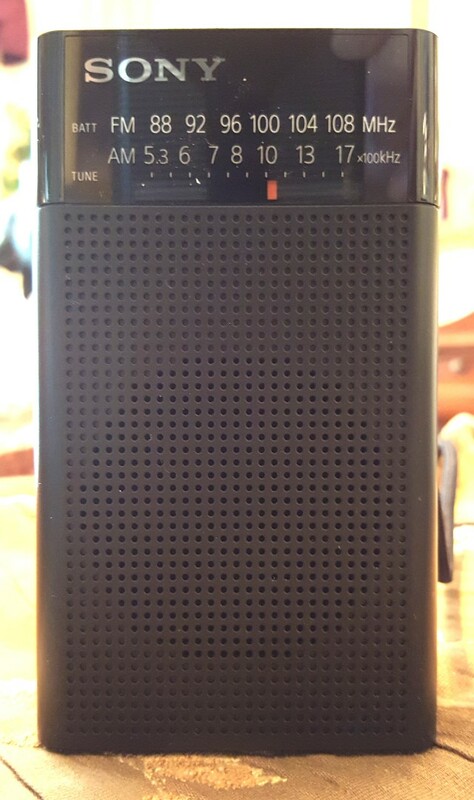 It might not play as loudly as the other top AM radios on weaker AM signals, but on FM its tuner is excellent and its sound seems almost Hi-Fi by pocket standards…you really have to hear the SR-35 on FM compared with any of the others to appreciate the difference. 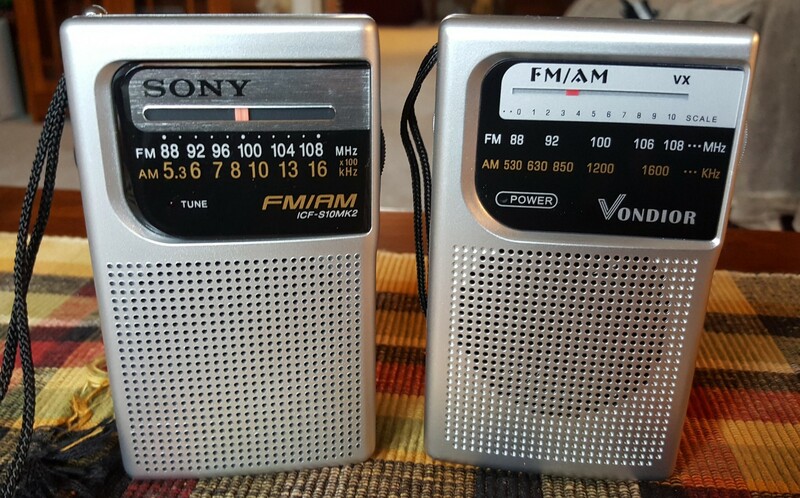 The two Radio Shack models on the other hand were very close on FM and the 12-586 was slightly better on AM while the digital 1201475 has digital tuning and Stereo FM with earbuds. The smaller Kaito KA-200 was the best performing radio in its size group…half the size of the radios above it in the Top AM Group.